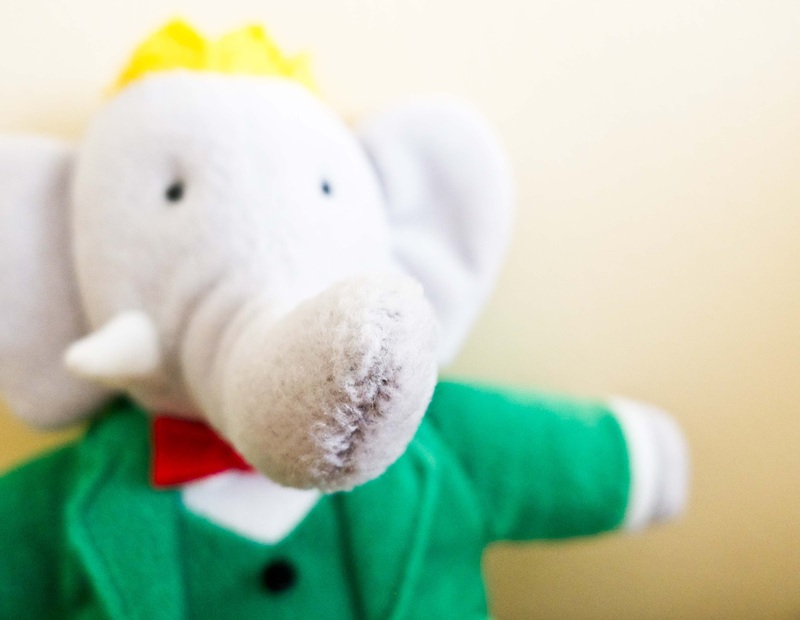 The plush Babar, the beloved king of the elephants who sports a bright green suit and golden crown, was originally a gift for my older son when he was an infant. Now Babar sits most happily in my bedroom as my boys (yes, even the two year-old) have simply outgrown him. 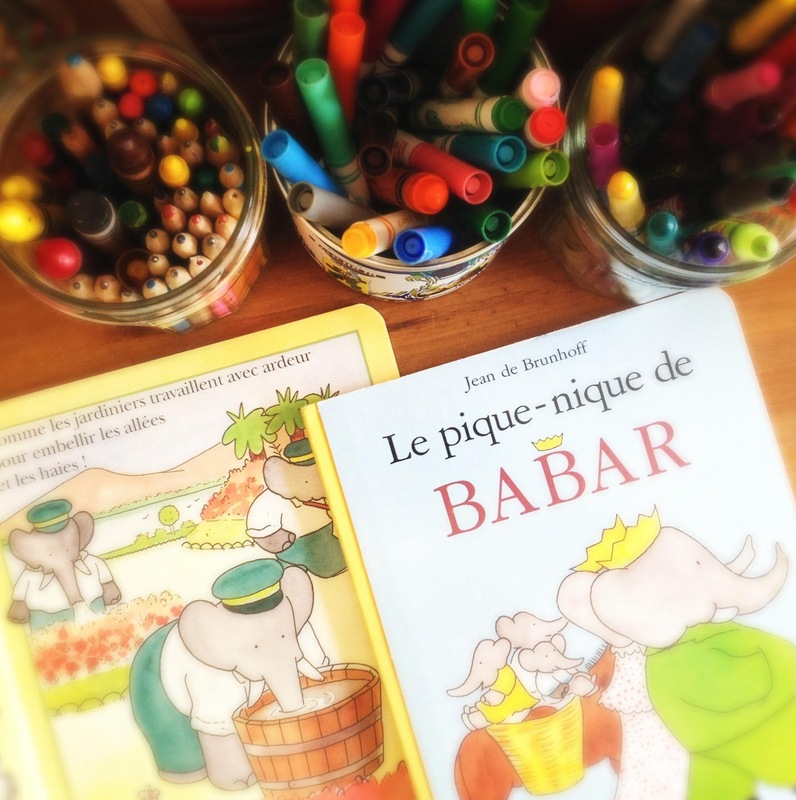 So all the souvenirs I've picked up over the years in France have now mostly become mine, though thankfully the boys still enjoy Babar's delightful tales and adventures with his wife Celeste and their family (one of my favorites is A Gift for Mother, which taught my son that his drawings are more special and more valuable than any store bought present). 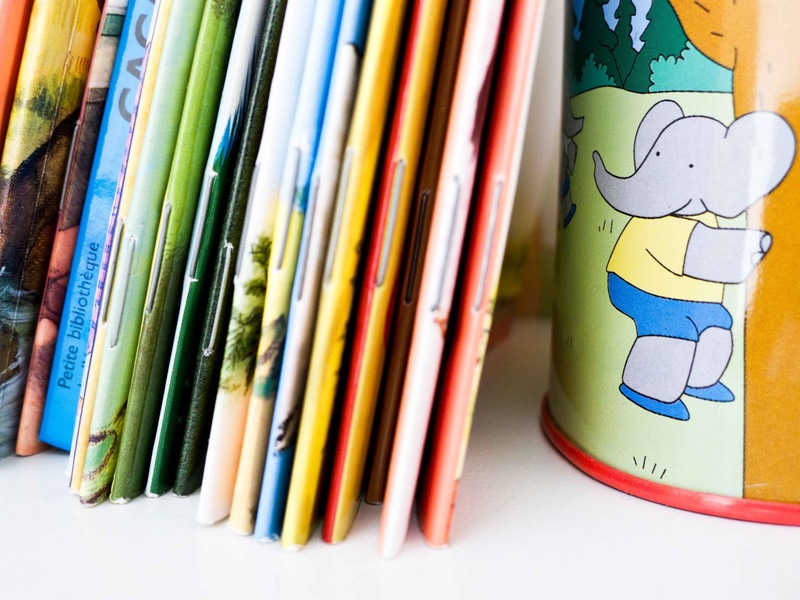 In the States, it's been nearly impossible to find Babar mementos except for the storybooks... until now. 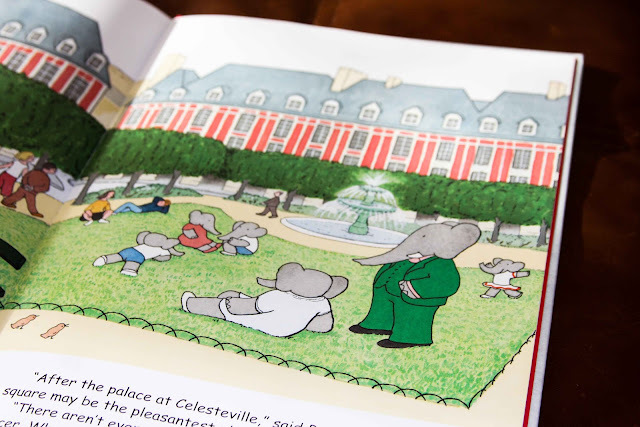 With the 80th anniversary of Babar upon us (in 1933, Babar's first book appeared in the United States, two years after the publication of the French version), we'll be seeing a lot more of our enchanting little pachyderm stateside! 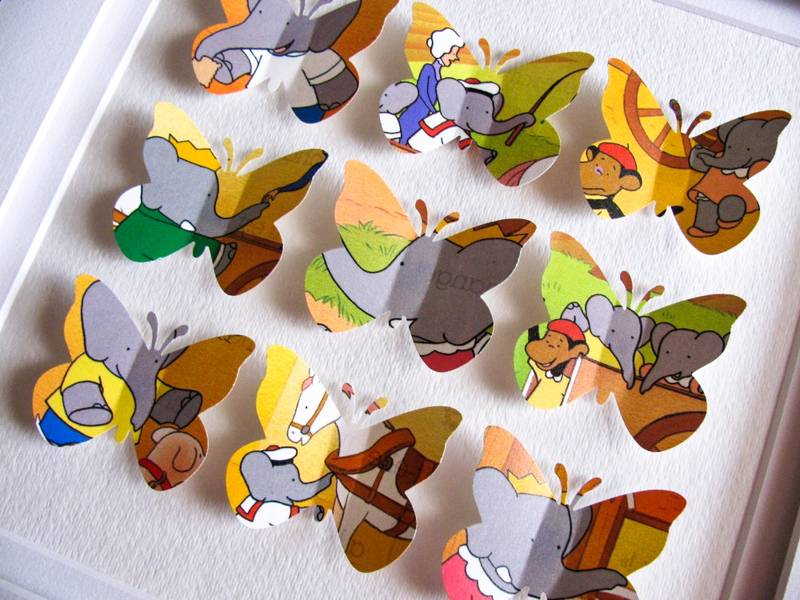 I did run into these pretty paper butterflies upcycled from vintage Babar book pages (from Dallas Manicom's Abounding Treasures shop on Etsy) that I think could easily be hung in an adult space, ...non? Here's a short video with author and illustrator Laurent de Brunhoff at his home in Florida explaining the history of Babar and demonstrating his process of sketching, painting and bringing Babar to life. At a youthful 87, Laurent has no plans of retiring Babar. 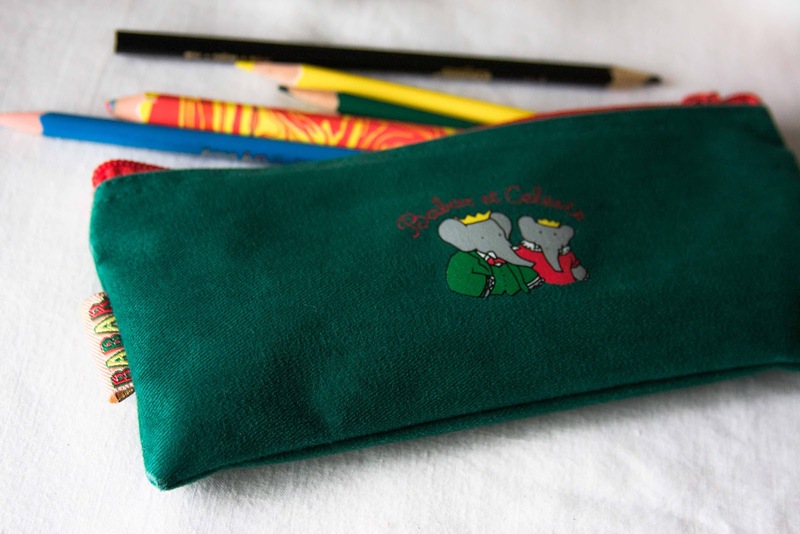 The 42nd book of the series, Babar's Celesteville Games, was just released in 2011. The video was wonderful! I grew up reading Babar and have shared a few books with the petite ami.s. I adore collecting children's books as well. Hello Allyn! You're fortunate to have met Babar early on... I have to admit it wasn't until much later for me, which is probably why I have such fondness for him as an adult (trying to catch up and all ;). Thank you for stopping by! 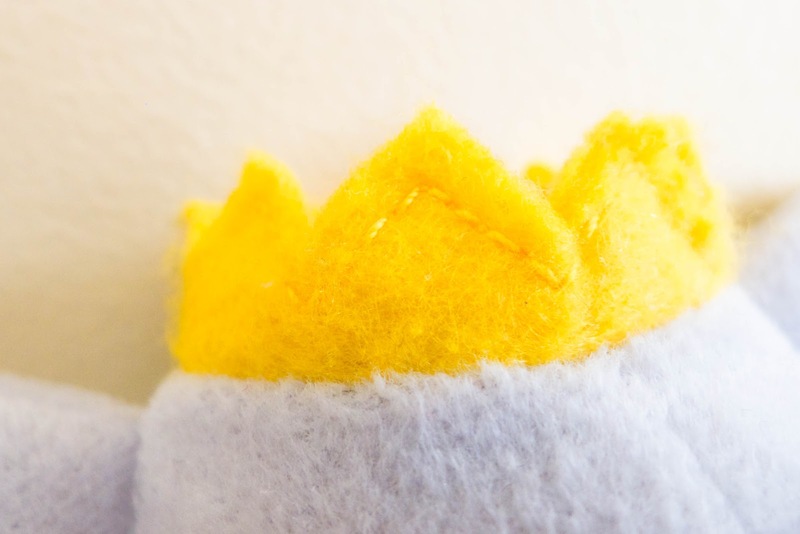 Thanks so much for featuring my upcycled 3D butterflies!! Oh Lulu, I'd love to see your old Babar magnets... they must be darling, all worn and loved all these years :) From what I've read, we should be seeing our little Babar more and more within the coming year or so, even at Target! Thank you for the vote of approval on the butterflies + for stopping by!